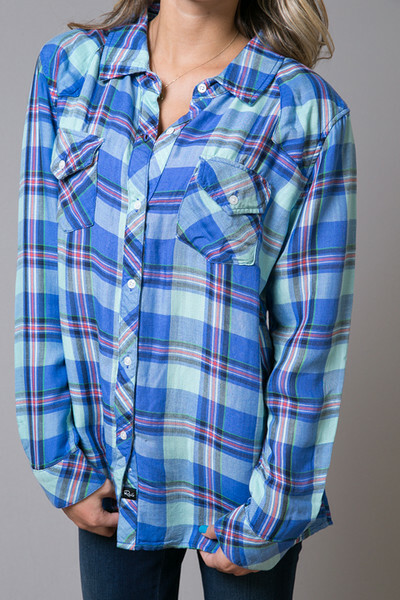 A super soft tencel mint pastel plaid button down made by Rails. 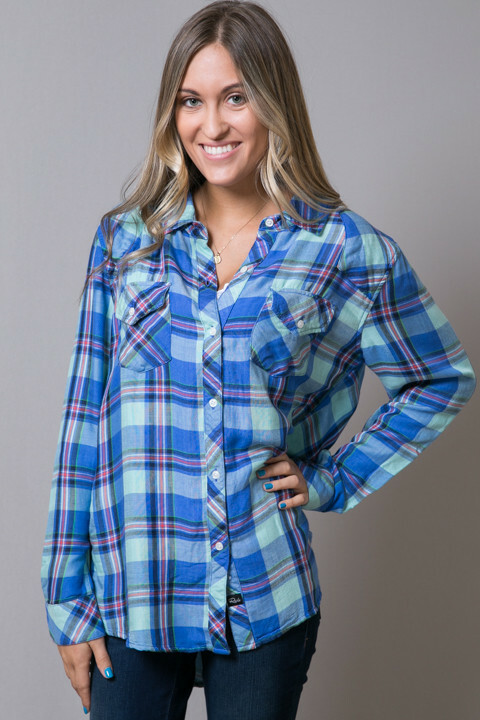 When you fold the sleeves over, there is a striped print to contrast with the plaid. We love to layer the Kendra Tencel Mint Pastel with our M.Rena Lace Camis. It is made of 50% rayon and 50% tencel. Hand wash cold and hang to dry for best results. Photographed with the Ideal Ankle Skinny by Henry & Belle. shipped really fast and was kept informed throughout the entire shipping process. also came packaged really well. will definitely order again, love the shirt!